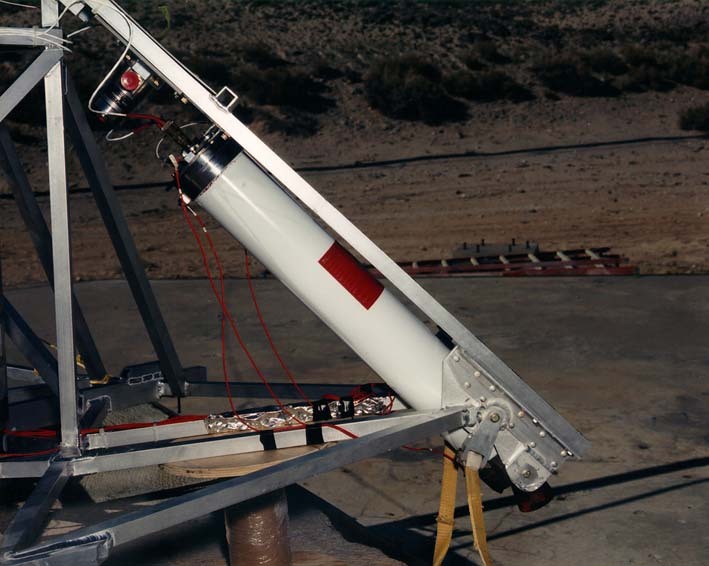 Pathfinder's rocket motors are essential for a safe landing on Mars. The atmosphere of Mars is quite thin and, as a result, the parachute which is used before firing the rockets cannot slow down Pathfinder enough so that a landing at a safe, low speed can be made. Without the rockets, Pathfinder would land at about 62 m/s, which is about as fast as an Indy 500 race car. Also without the assistance of the rockets, the airbags (which are there partially as an insurance policy against unexpected surface winds) would not protect Pathfinder sufficiently, and the spacecraft would crash rather spectacularly. 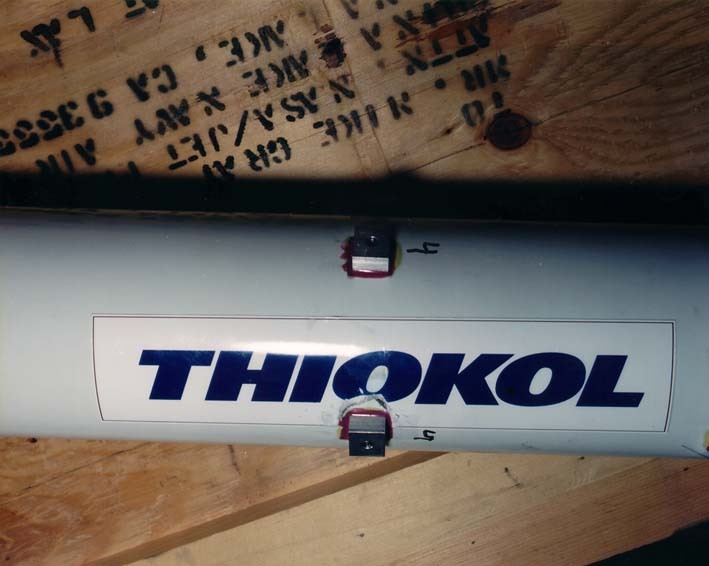 Built for Pathfinder by Thiokol, the rockets are small (about 0.9 meters long), but they are extremely powerful. They will bring Pathfinder to a dead stop in a "screeching" halt just barely above the Martian surface in about 2.4 seconds after they are fired. During the time they are fired they will generate power equivalent to that of all the electricity needed for a town of about 15,000 people. The gases in their exhaust flame have a temperature of about 3000 degrees Centigrade (about half the temperature of the surface of the sun) and have a velocity of about 2,600 m/s (more than 10 times faster than a passenger jet typically flies). When we tested them on Earth, they were louder than 30 rock bands playing at the same time with full blast amplifiers inside an auditorium! The rockets in the backshell picture above were attached to a Pathfinder rocket platform identical to the one now on its way to Mars. The backshell was not moving in this test. 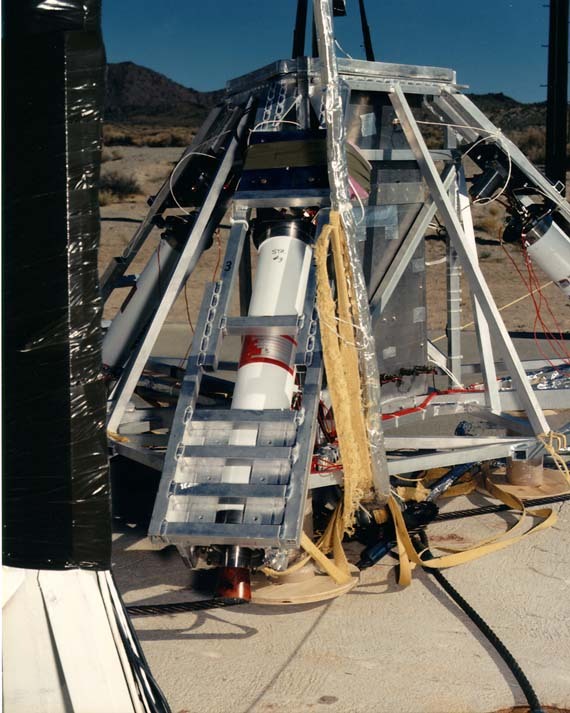 It was suspended from an overhead rope and was attached below with a "flight-like" tether to a 5 ton block of concrete which keeps the backshell with rockets from flying away when the rockets fire. 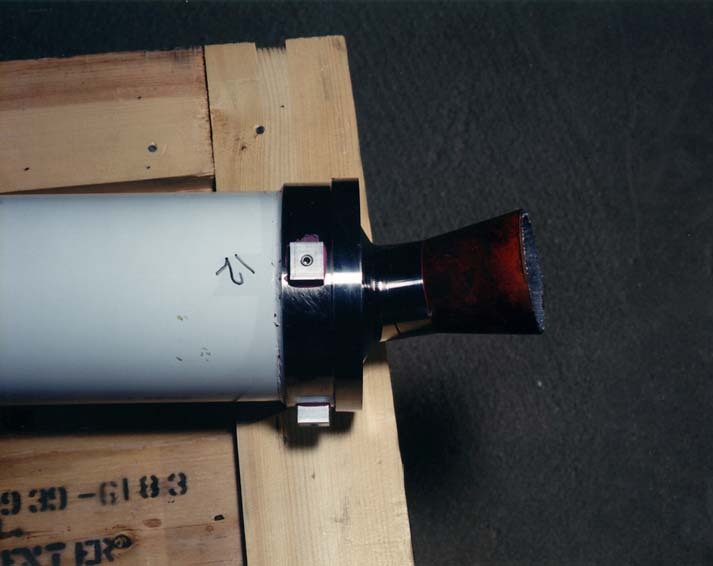 We did this test to make sure the rockets did not vibrate too much when they were fired and to confirm that the rocket platform would safely hold them in place. The United States Navy helped us do the testing. 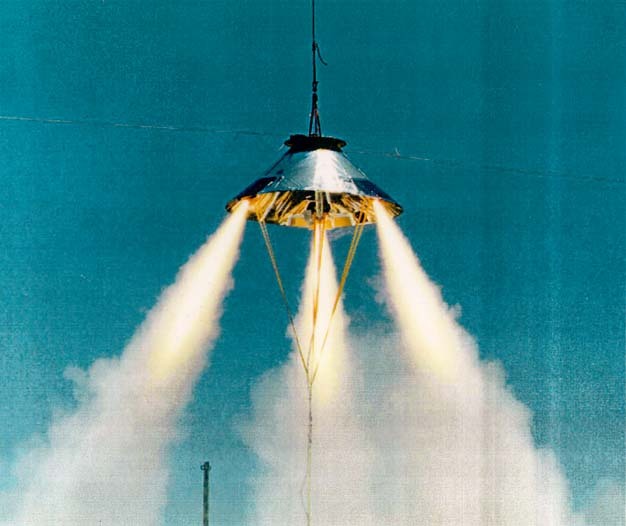 JPL and the Navy also did some earlier development testing for which we built a rocket test system which had parachutes, a backshell, a tether, an imitation Mars landing payload, and rockets. We dropped this big experiment (called the "test stand") from a helicopter which flew two miles above the ground to see if everything worked the way we expected. Many things worked the way we expected, but there were some surprises with the rockets which we had to fix. Doing these experiments was just about as much fun as any of us could have imagined! See how the RAD rockets fit into the entire Entry, Descent and Landing process!